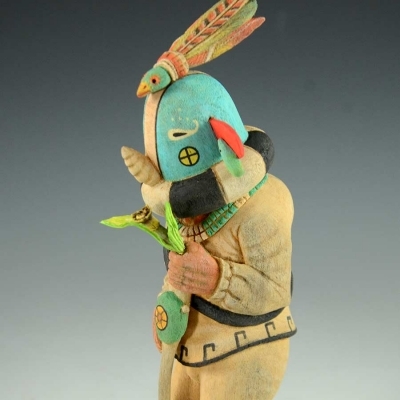 Ted is the son of Tewa-Hopi potter Garnet Pavatea and was born in 1952 in the Village of Hano at Hopi. 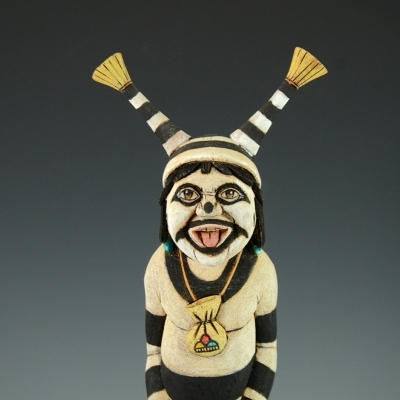 He is a favorite carver of ours as his Kachinas always make us smile. Measures 12" High with Base Measuring 3-3/4 by 3-1/4"